Seriously, do people still care about Facebook Likes? The abundant numbers make them nonsensical at times. Facebook Likes can be bought with pennies, why does it matter anymore? Take a look at their organic reach instead, some trends towards zero. Many brands are now reporting that their post engaged less than 1% of their total audience. So what’s the point of trying to measure something that is so indispensable, that doesn’t even look at what you have to offer. They use to matter, it’s important to know your ad’s reach and how many people actually saw your ads. However, by today’s standards, ads appear everywhere, pushed to every random possible person. Of course there are targeting methods but you and I know we are constantly annoyed by irrelevant ads. We understand at times companies launch big promotional events. They need to justify where their visits come from. True but are these reliable performance indicators? Not so. Are they dispensable? Depends. Don’t sabotage your own efforts by discrediting them with what is crappy segmentation reporting. Our point here is a diverse traffic source can only be good, nothing bad. Page Rank is officially DEAD people, for a very very long time. The last time Google updated the page rank algorithm, it was in 2013. Oh did we forget to mention it was by accident? So yeah that should give you a clear indication how important this whole page rank thing is for Google. So for whatever reason you are still looking at page rank (most probably for SEO, backlink building etc. ), STOP RIGHT NOW. There are better places to spend your resources on. These digital marketing metrics are long over due. The more you focus on measurement that doesn’t matter, the less time you have for metrics that actually matter. Don’t improve the volume, improve on quality. Quality brings better business opportunity. Google has amazing array of marketing products. The man Sundar Pichai would have some say over how the product was created. This man can one handedly steer the future of Google, so lets dive in to see what he thinks about the new digital marketing paradigm. The main objective that defines Google in near future is – to improve Google’s products through machine learning. The effort also coherently covers the effort in delivering computing capabilities to everybody around the world. Google latest approach is highly reflected in Google’s new product. For example, Tap and Project Ara. It organizes photos, virtual reality videos stitched together in the cloud. All these in credit of Pichai’s goal in making Google’s technology reachable by as many people as possible. Under Pichai, both Google’s product vision and its out-there R&D projects all seem to be heading in the same direction much more than before. Google has billions to spend. Their monetization strategy really is secondary to Pichai’s stated goals, to give everyone the power of Google’s products everywhere in the world, and he makes sure that future developments will keep his visions embedded. Google is investing heavily on machine learning, especially in natural language contexts. So if you open your phone today and pop “Hey, what does a tree frog looks like?”, the machine now understands your question (English in this case, Google is now adopting real time translation) and runs through the online database of tree frogs then comes back with contextual replies/ answers. Error in word recognition is down from 23% to 8% last three years. Google is making tremendous progress. And these, reminds us of the SEO algorithm Hummingbird, and of course Google Now. Another big part that Google is trying to accomplish is heavily linked with Android. As of I/O 2015, Android has reached a billion users worldwide, and the next question is – What’s the next Billion? And What is the Strategy Behind? To put things into comparison, the PC industry has reached 1.7 billion users worldwide. Judging from the mobile growth, getting past the numbers is only a matter of time. Pichai’s guess? 5 Billion. Yeap. In order to get the numbers growing, Google must also build a reliable network of Internet, not just that but also affordable ones. Remember Project Loon? It’s not dead! Again back to basics, to reach everybody in the world. With the ongoing efforts like Chromebooks, Project Fi, Android One etc, the day will come. We will cover the latter parts- competition against Microsoft and Apple, Net Neutrality and more. For now, let’s end with Pichai’s famous vision. Before we start, Beuau Avril is the Google’s Global Head of Product Commercialization. His job in simple is, to bring Google’s premium video solution and other SEM products to global businesses. The strong growth of YouTube has many things to do with this respectable chap here. Let’s dive in to 4 simple questions, and see what is in his mind. The intersection of technology and media is the most important topic for me. Audiences, especially younger demos, are consuming video content in a dramatically different way. The entire video experience is becoming interactive and personal and it is happening largely outside the living room on mobile devices. 50% of watch time on YouTube is mobile and it is growing at 90% y/y. For millennials, the concept of “watercooler” programming is no longer about 5-6 hit shows on TV – it’s about personalized entertainment within online video communities, many surpassing the reach of the largest cable/TV networks. For the first time, great data can tell us true fan passion in these communities, beyond views/impressions. Shifts in consumer behavior are happening faster than marketers are adapting and a new approach is needed. Younger audiences are migrating away from TV and instead are connecting with their favorite YouTube creators and online personalities. To adapt to this change, marketers still need to reach young consumers with their most powerful asset (video), but they need to reach them when they are willing to receive a brand’s message. The old model of securing a premium placement around popular TV shows in a cluttered ad environment will not make impact on millennial audiences. Marketers need to reach them when they are “leaning-in” to the content. Key data signals can help identify these places – they will define the new premium content. 3. How will the customer experience be improved by this? If you think about the traditional TV model, what’s missing is a real time feedback loop that can truly impact what you will see tomorrow, and the next day. Platforms like YouTube make this possible because social interaction is part of the core video experience. Users can respond in real time to their likes and interests and creators can develop their content according to what people want to see. This can happen within a few hours or even minutes. This creates a deeper commitment to the content and its creator. Beyond social enablers, online video is different in the sense that the talent develops a true personal connection with his or her fans. They create content without scripts; express raw thoughts, emotions, and points of view. This makes them more relatable and as a result they are perceived as friends to their fans, versus celebrity icons. In fact, a recent study by Variety (Q-Scores) found that among young audiences, YouTube stars are more popular than mainstream stars. This research should send a powerful message to marketers. Historically, access to “on screen talent” has always been guarded by talent agencies and studio executives. Now, the walled gardens are coming down. Investing in these emerging creators via advertising is key in driving an innovative video ecosystem and more meaningful content experience for users. Reaching consumers while they are engaged with their passions facilitates receptiveness to brand messages, which increases marketing effectiveness. [Tweet this] Last year, Google launched a real time measurement product called “brand lift surveys” enabling brands to see real time impact of their video investments on YouTube. We found there is a strong and positive correlation between ad recall and the amount of passion, popularity, and engagement there is on any given channel. The higher the passion/engagement metrics, the higher the ad recall. The ability to measure passion + popularity is a compelling point of difference between traditional media and online video. Over time, this will create better ROI for marketers, as they won’t waste ad impressions in places where users aren’t paying attention to the ads. Outside of work, my favorite activities include traveling, hiking, and road biking. I love a good ride along the river, over the GWB, and into the Palisades. I’m also an avid foodie; seeking out every opportunity to experience local food and culture, for any good occasion. This could easily be the template answer, or the backbone for SEM strategies in year 2015, and possibly 2016 and beyond. Mobile has evolved in aplenty of ways in 2015, instances where Android dominated the mobile market share, mobile searches exceeded desktop searches, Project Fi etc etc. Mobile marketing is the next BIG thing! However, we still go through some sloppy mobile landing pages for Google Adwords. Little do they realize the subtle details on their landing pages affect conversion rates. In this article, let’s dive into the details, and discuss determining factors that could double your conversion rate. Lengthy paragraphs doesn’t appeal, fact. A concise copy writing attracts attention, and deliver messages better. After all, how much can a 5 inch screen portray. Remember, keep things short, neat, clean and precise. Quit using words like “BEST”, “LEADING”, “YOUR PERFECT CHOICE”…and the list continues, you get what I mean. It’s cheesy as hell! English is a magical language, make use of the vocabularies that run into the millions. Its always better to show clear, direct and concise marketing messages. Remember, your message should drive conversion. First off, your website should be in responsive, if not you shouldn’t be reading this post in the first place. The fonts should be big enough for people to read, and buttons big enough for people to click, nope tap. Again, all these improves navigation, in turn conversion. Easier to say than done. Rule of thumb, make sure your landing page loads within 4 seconds. According to stats, 4 seconds is the average limit a visitor could bear. We are spoiled by choices, and you wont be considered if you ain’t fast enough. We have been emphasizing since the beginning of the article, call to action, conversion. This could be an app download, a phone call, a purchase, whatever it is, focus on that primary objective. Don’t distract visitors with fancy sidelines. Trust me, we are very very very very easily distracted. So, what other tips do you have for mobile landing page success? Let us know in the comments below! Many of us have been anticipating the “Buy” button, rumored by many authorities since months ago. It’s finally here now, after months of waiting. The new button packs plenty of features, ans we are here to discover the enhancements that come with it. This is going to be a short overview, since the feature is still new, without plenty of points to discuss. Mobile shopping ad is something Google has been spending big bucks to develop, and to promote. Android is gaining a pretentious amount of the mobile smartphone market share, and its only logical for Google to leverage on such assets. 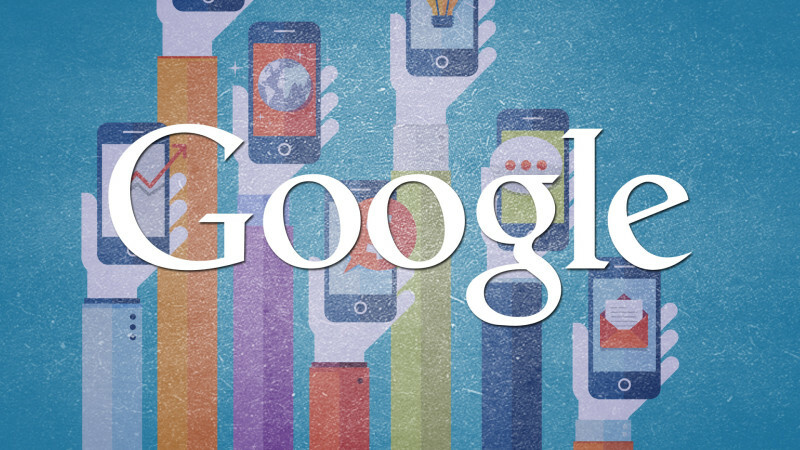 Mobile shopping ads from selected retailers will now contain a “Buy on Google” option. BY clicking on the button it redirects you to the product page hosted by Google, complete the transaction with your purchasing information and you’re good. However, this is only in the early experimental stage, which hopes to become another SEM hit in the marketing industry, especially for e-commerce sites. As of now, there are only very limited numbers of retailers being part of the experiment. The concept runs the same way like any other AdWords, or the literal name Pay per Click. Advertisers only have to pay for clicks on the shopping ads, and everything else free. Google is only responsible in hosting the products, and the advertisements. Retailers will still have to take charge in areas like customer communication, newsletter, delivery status etc etc. The “Buy” button isn’t the only thing that Google has pushed, with few other Google AdWords enhancements introduced. Swipe to Reveal: Swiping on a Google ad carousel will now reveal more information about the products, such as price and availability. Ratings and Reviews: Newly-designed shopping ads with product ratings and reviews will be shown if certain trigger words are contained in the query, such as “best”, “reviews”, “recommendations”, and so on. Priority for Local Inventory Ads: LIA’s will now be shown first, when available, for local intent shopping queries. App Deep-Linking: Ads from select retailers will now include links to view a product on their shopping app. All of the above features apply to mobile ads only.